Pycnogenol is an extract made from the bark of the Maritime Pine (pinus pinaster). Pycnogenol contains naturally occurring proathocyanidins, organic acids and other biologically active components. Vitamin E is a powerful antioxidant and a potent free-radical scavenger. 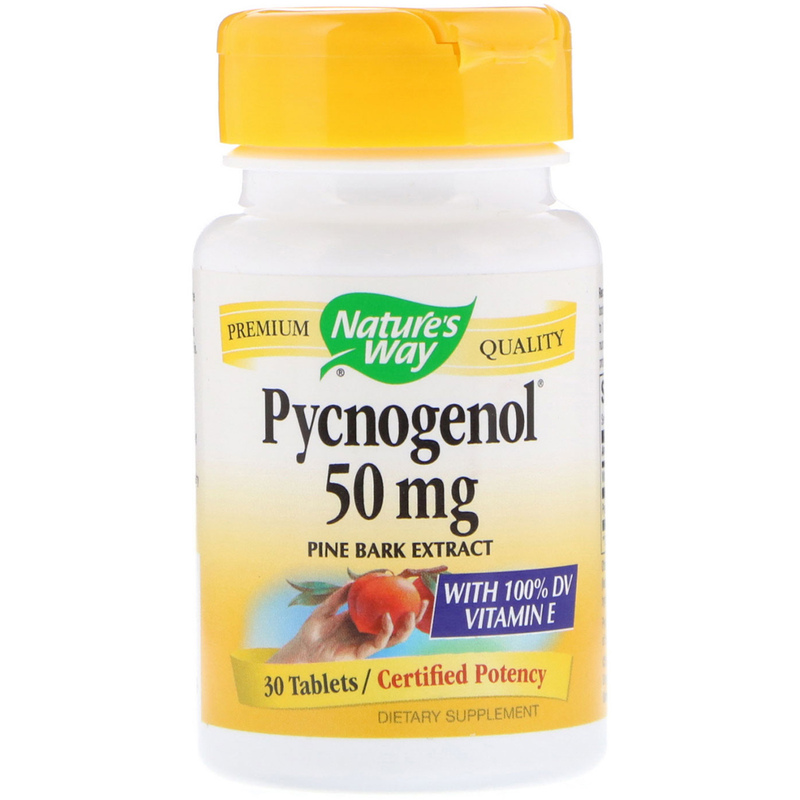 Our Pycnogenol is carefully tested and produced to superior quality standards. Take 1 tablet for each 50-60 pounds of body weight for the first week or two. Thereafter, adjust intake to 1 tablet for each 100-120 pounds of body weight.